Urban Outfitters hasn’t announced their Black Friday plans this year. 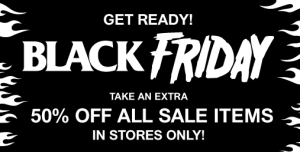 Last year, the Black Friday event was 50% off all sale items in-store only on Friday, November 28, 2014 opening at midnight. Check for your local store. Plus, if you use their app and check in they claim you will get the “biggest reward in Urban On history”. Happy shopping, don’t get trampled. 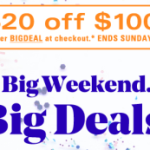 Sign up for the Frugal Bon Vivant newsletter and we’ll let you know when we find out for sure and about more Black Friday deals.